I have a story for you. From the embellished tall tale to the factual non-fiction, I pride myself on being a self-proclaimed storyteller, as I love telling all story varietals. I come to you today to share what I consider to be one of the most important and meaningful stories I have yet told you. A story that involves a small community with a large impact; a story involving sustainability of a species and preservation of an ecosystem, a story to give you a better understanding about the food you eat, and the hands it passes through to get to you. In early September, I visited Copper River Salmon in Cordova, Alaska, alongside Laura Davidson, blogger at A Beautiful Plate, John Rohrs, Seafood Manager at Perishable Distributors of Iowa and Derek Baril, executive chef at Wild Standard in Boulder, CO.
Laura, John, Derek, and I were invited into the homes of fishermen, broke bread with them, got to know them, enjoyed the the freshest wild-caught Alaskan salmon – prepared in a myriad of delicious ways. 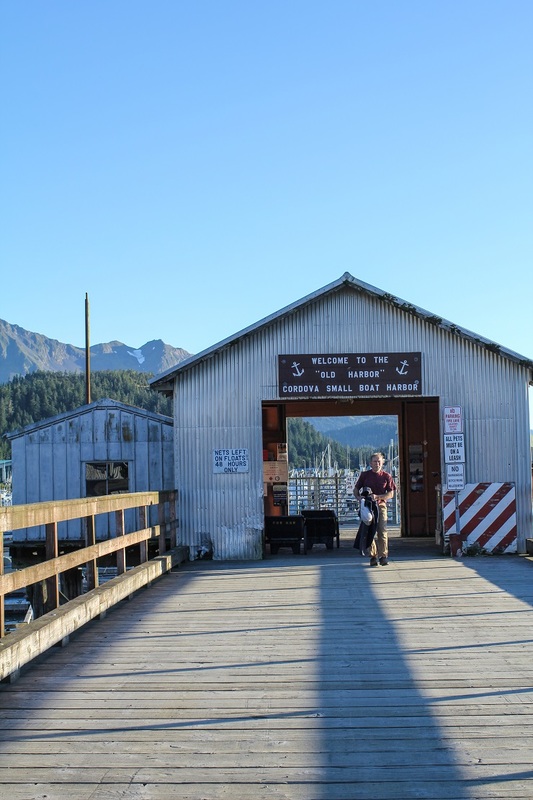 We spoke with the folks at the Copper River Watershed Project and Alaska Fish & Game, two of Cordova’s seafood processing facilities, and enjoyed fun activities right alongside the locals, including a scenic ride in a floatplane, breakfast on a boat, foraged for mushrooms, prepared dinner for some of the locals, and more. The trip was incredibly educational for me, and because I have *so much* information to share and photos to show you, I decided to break my recap post into two parts – Part One being the ins and outs of sustainable fishing in Cordova, AK, and Part Two (to come) being what we did, where we stayed, where we ate, etc. 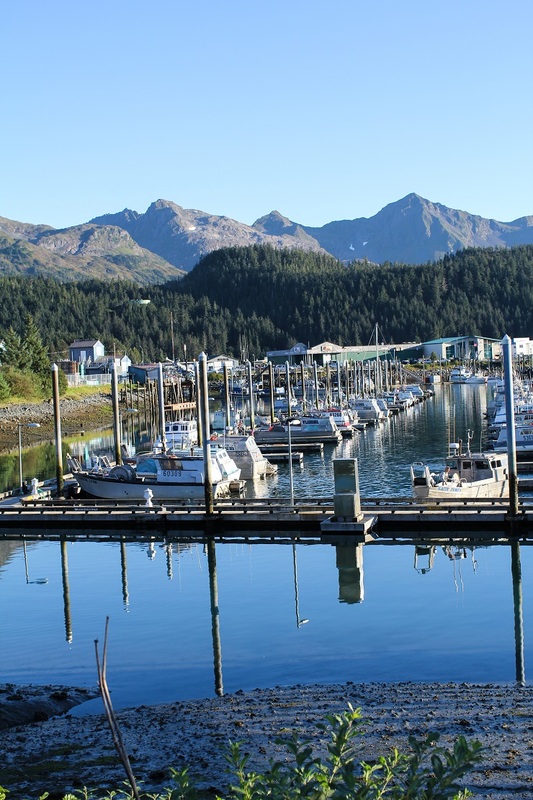 Cordova is a small town on the Copper River in the southern gulf of Alaska, located in the Chugach National Forest, and is only accessible by boat or airplane. 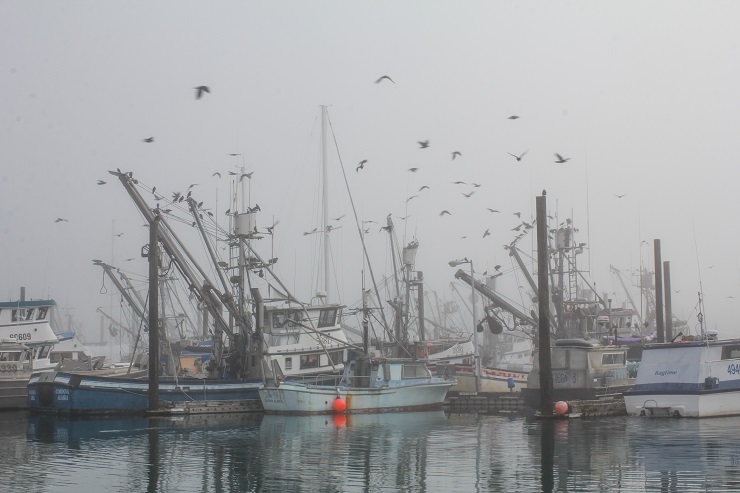 About 80% of businesses in Cordova relate to the sustainable fishing industry. The locals are some of the friendliest people I’ve met, as they’ll stop as they pass you on the street and ask where you’re from (apparently they have a nose for out-of-towners, as my plaid and Muck boots were no help to make me blend in). You know the ye old lyric from the Cheers theme song, “where everybody knows your name?” Welcome to Cordova, folks! This community of strong (badass) individuals is full of tight-knit friendships while remaining warm and accommodating toward visitors. Their culture is one of sustainability in all facets of life, not just in the fishing trade. They forage for mushrooms berries, and herbs. Cordovans are fabulous cooks (I confirmed this with my mouth), not just out of hobby but out of necessity, since Cordova has only a handful of restaurants, some of which are not open year-round. They are hunters, gatherers, scientists (by degree or by life), and respect the land upon which they live. Man, oh man, do they have stories! Who is Copper River Salmon? 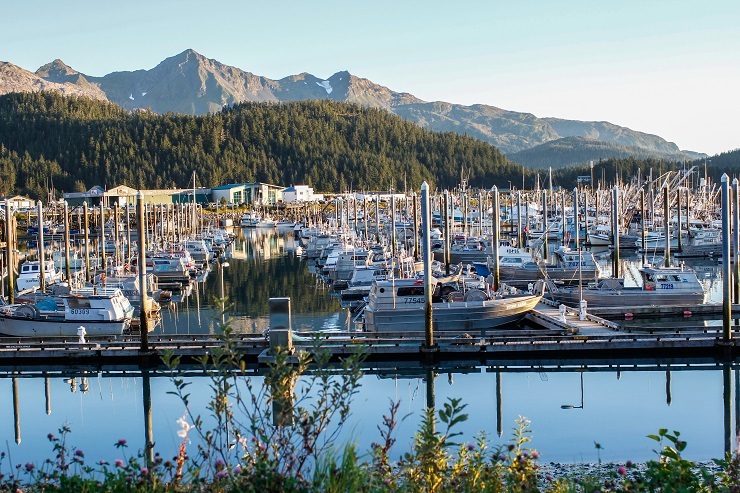 Copper River Salmon is a non-profit organization that helps market the wild-caught Alaskan salmon off the coast of Cordova, Alaska (specifically, the Copper River and Prince William Sound). You can look at them as the PR Firm or marketing company for each individual fisherman, as they are responsible for educating the public (you) through various medias (blogs, social media, teaching their story to the restaurant and stores to which they distribute) on why consumers should choose wild-caught salmon from Cordova. Salmon lay their eggs in the late summer and fall, and those eggs hatch in the Spring. Upon hatching, salmon swim to the ocean and live for one season in the sea. During their time in the ocean, they bulk up in preparation for their swim back to their hatching grounds. They “run” home (spawn) the following spring, thus completing the circle of life (provided they aren’t caught by a fisherman first). From a fishing standpoint, salmon season runs from May through September, when salmon begin to spawn from the ocean up through the fresh water rivers and streams. 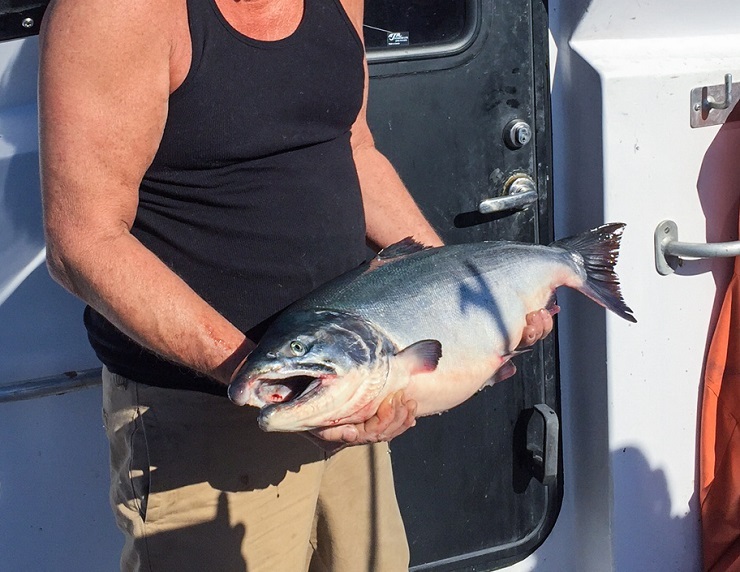 King salmon season is mid-May through late June. Sockeye season is May to August, and Coho season is late August through September. Learn more about the Copper River Salmon species HERE. Once salmon begin spawning, they stop eating and start using up their fat stores on their journey. This is exactly why salmon from Cordova tend to be rich in flavor and high in healthy fat – the Copper River is a whopping 300 miles long, so the awareness of their long journey causes salmon to intuitively eat as much as they can while they’re in the ocean so that they can make it all the way to their place of origin. Therein lies your answer as to why Copper River Salmon is so superior in flavor and texture – salmon is typically caught at the mouth of the Copper River, before they have a chance to tap into their fat stores, making them much higher in omega 3 fatty acids than salmon whose journeys are much shorter. 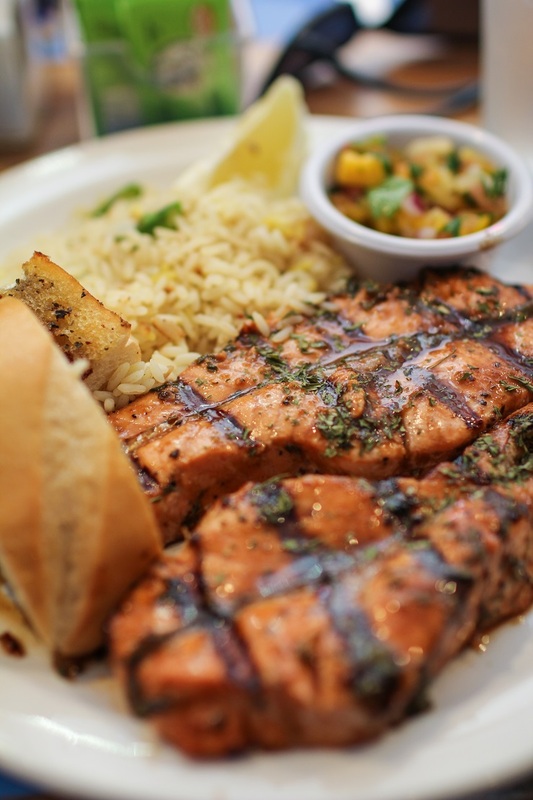 This high fat content, coupled with the fact that each salmon is bled on the boat, reducing bacteria levels, increasing shelf life, and enhancing flavor, is what makes Copper River Salmon so incredibly flavorful, healthful, and delicious. 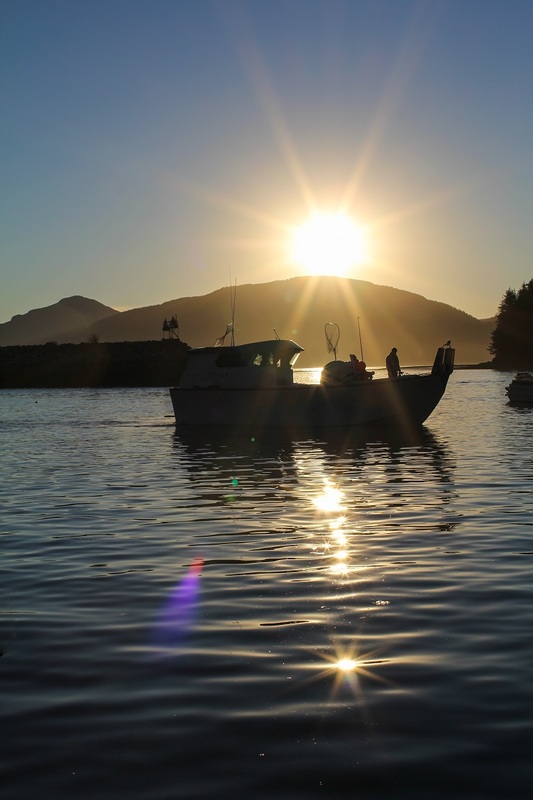 Fishermen get ready each May for a season of salmon fishing, and for the next five months, they spend a great deal of time on the ocean and in the local waterways, catching King, Sockeye, and Coho salmon. I was shocked to learn fishermen tend to fish alone. Most boats are a one-man (or woman) crew – not tens or twenties as I had thought going into the trip. It can be a bit of a lonely lifestyle during those five months, as fishermen can go out to sea for 12 to 36 hours at a time. 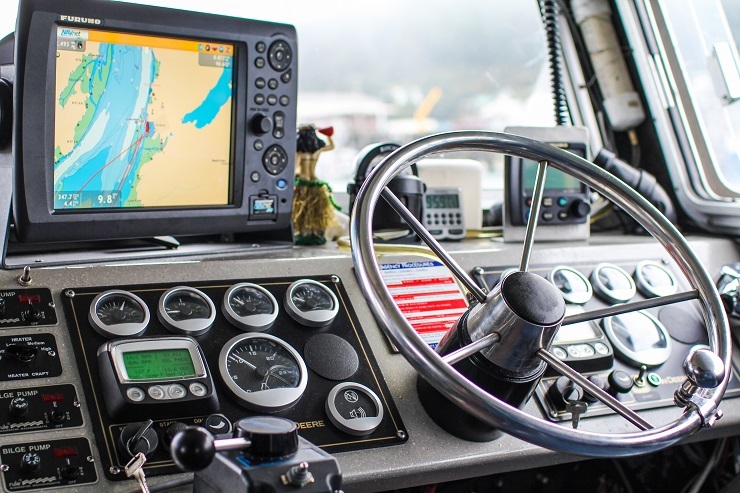 Fishing off the coast of Alaska is an incredibly dangerous business, wherein the fishermen are subject to rough waters, unfavorable weather, thick fog, and must be wary of tides and sandbars. One of the questions a consumer may ask is why wild-caught salmon is so expensive. 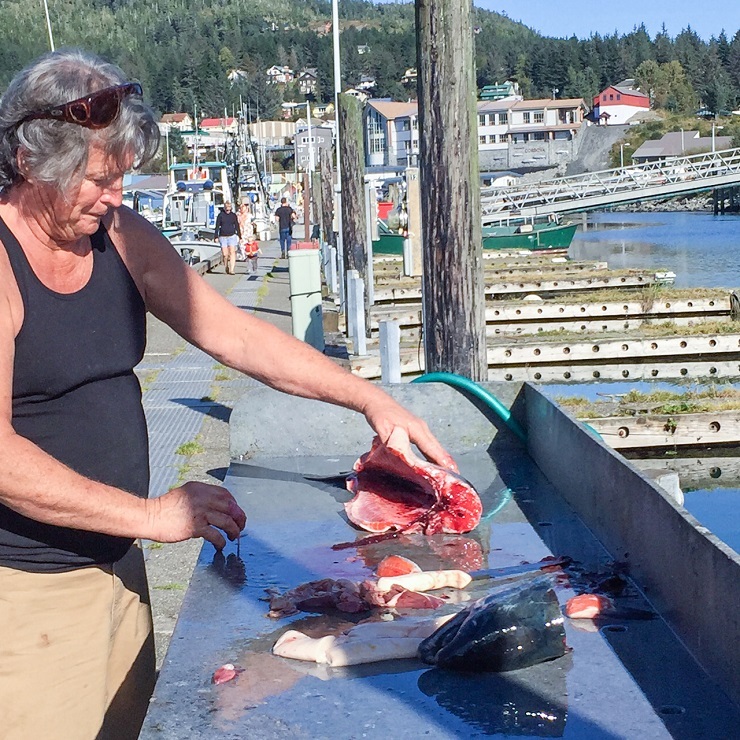 The answer is there is limited supply (by virtue of the fact that the salmon population must be sustained), and those who bring the fish to market are risking their lives in the process. 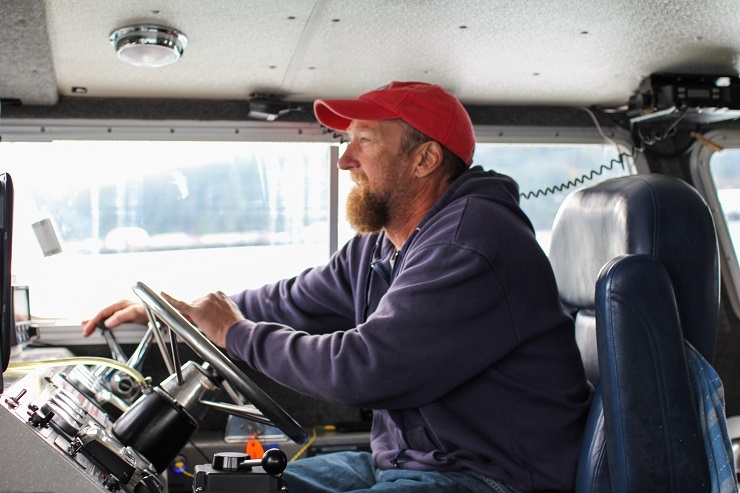 Outside of operating their one-man gillnet, many of the fishermen in Cordova are friends, albeit there’s some friendly competition in the height of salmon season. Upon returning to harbor, one fishermen may ask a fellow fisherman to tie his boat to the dock or help “stack” his net, as it’s a much quicker and easier job with two people. It’s very much a community of mutual back scratches. 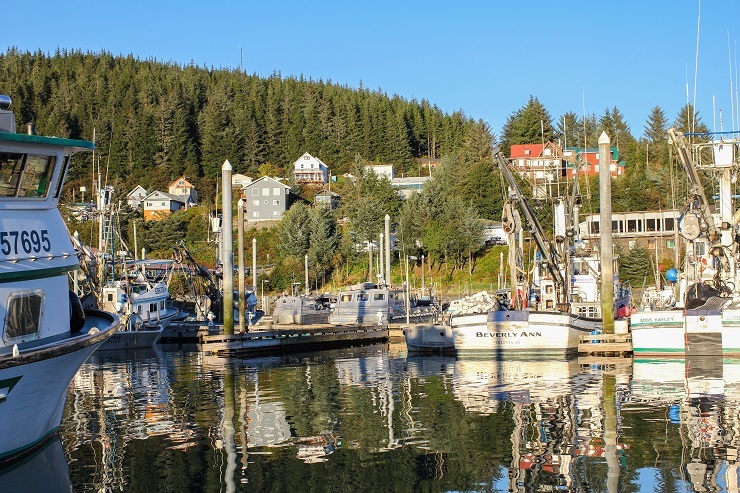 The main characters responsible for keeping the fishing industry in Cordova sustainable include fishermen, state and local government, and non-government organizations like Copper River Salmon. All forces working together to ensure the the population of all salmon species stay at sustainable levels, thereby ensuring the health of the ecosystem and the industry for years to come. 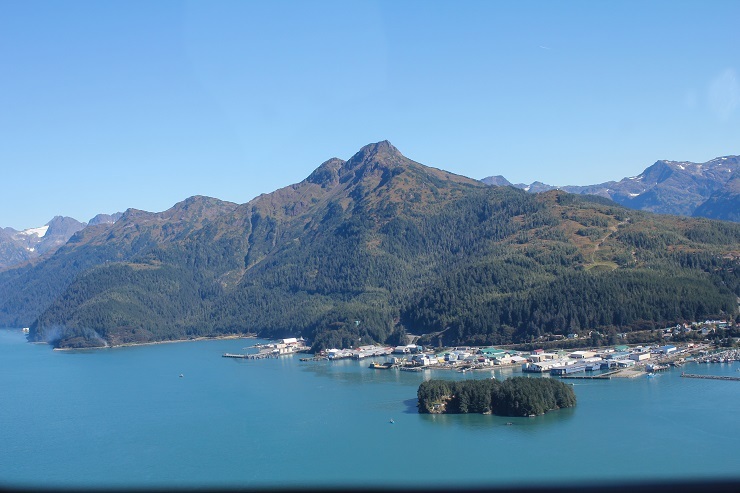 Copper River’s Watershed Project and Fish & Game are key players in ensuring the health of Cordova’s many waterways as well as keeping track of the numbers. 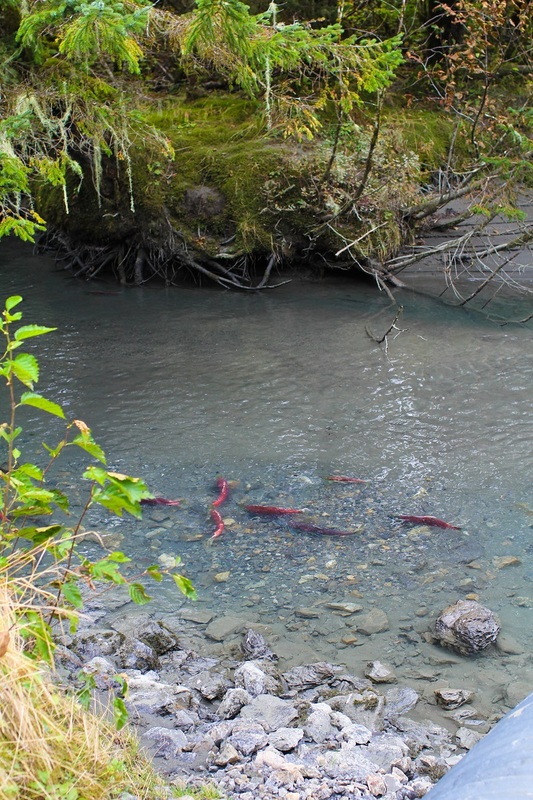 The Copper River Watershed Project has a great deal of involvement in ensuring spawning salmon are able to make their journey home efficiently and thereby breed to continue the population. The organization re-builds culverts in Cordova’s waterways bringing the culverts to stream level (rather than the raised culverts that are commonly used in streams and rivers), This ensures salmon are able to pass through waterways easily. 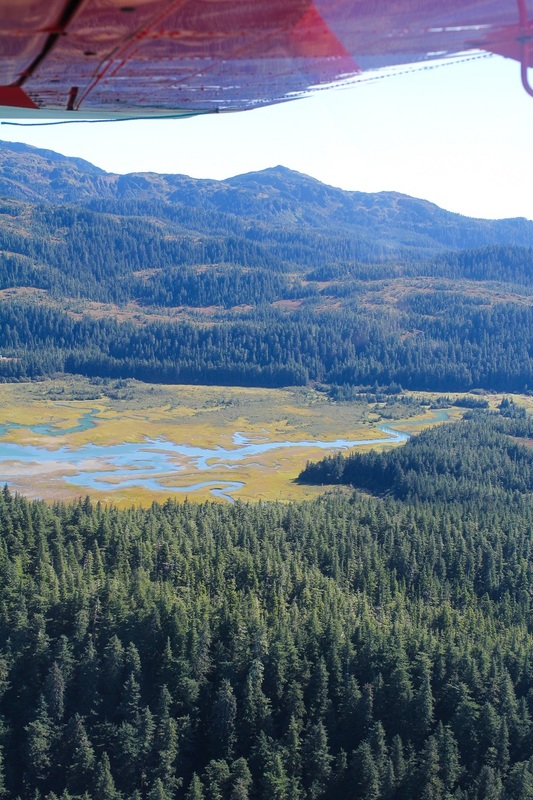 Because of the continued preservation of the local ecosystem, Alaska has an intact watershed, unlike other areas of the U.S. (such as San Francisco and Puget Sound) that have damaged watersheds due to human development. In this way, Alaska is able to spend funds maintaining their intact watershed, whereas other areas need to spend their funds on restoration. In order for a fishery to be sustainable, it needs to be closely monitored to ensure the population of fish stays at a specified number. 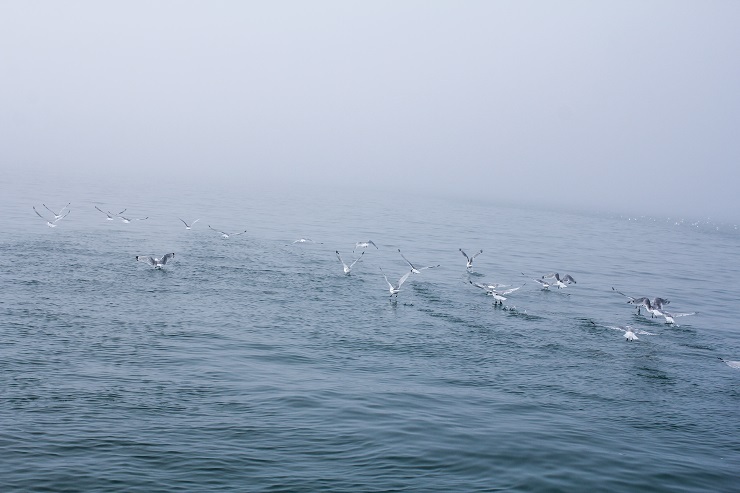 Fish & Game is the organization that takes inventory of all species of local salmon to track escapement levels so that enough fish are allowed to spawn and continue the population for the following season. They do this through strategically placed underwater cameras, and often count fish by aerial photos or by hand. Fish & Game has a daily in-river escapement goal. When this goal is met, fishermen are free to harvest as many fish as they’d like. When the escapement number is below subsistence level, Fish & Game requires commercial fishermen to take a hiatus until the appropriate volume is reached. While our group was in Cordova, there was a buzz around town as fishermen were waiting for Fish & Game to give them the okay to go out on one last “opener,” (essentially allow them to fish). Alas, F&G found the escapement level of Coho to be agreeable, and the fishermen were allowed to go out on a 24-hour opener. 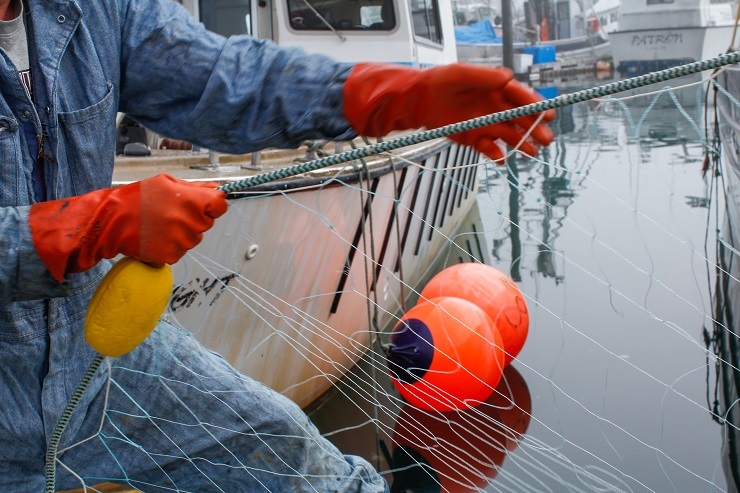 In addition to monitoring the population of salmon, Fish & Game also enforces laws surrounding the type and size of boats allowed to catch, the type and size of nets fishermen are allowed to cast. 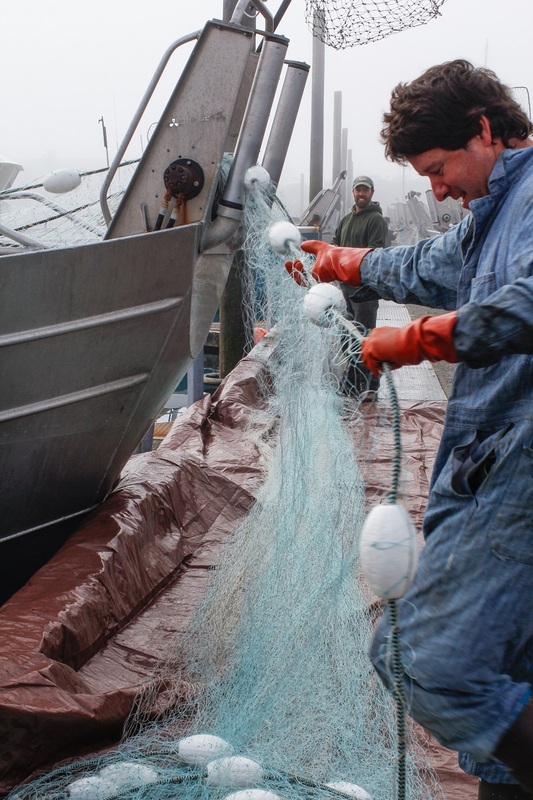 For instance, 532 drift gillnet permits are allowed each year on the Copper River, and a drift gillnet may not exceed 150 fathoms. The mesh and depth sizes are limited for the nets being used so that fishermen don’t overfish their areas. All things put together makes fishing in Cordova considerably different from fishing in other areas. The smaller volume of catches ensures the fishermen are able to dedicate time to handling the fish properly – this dedication to quality shines through in the final product. 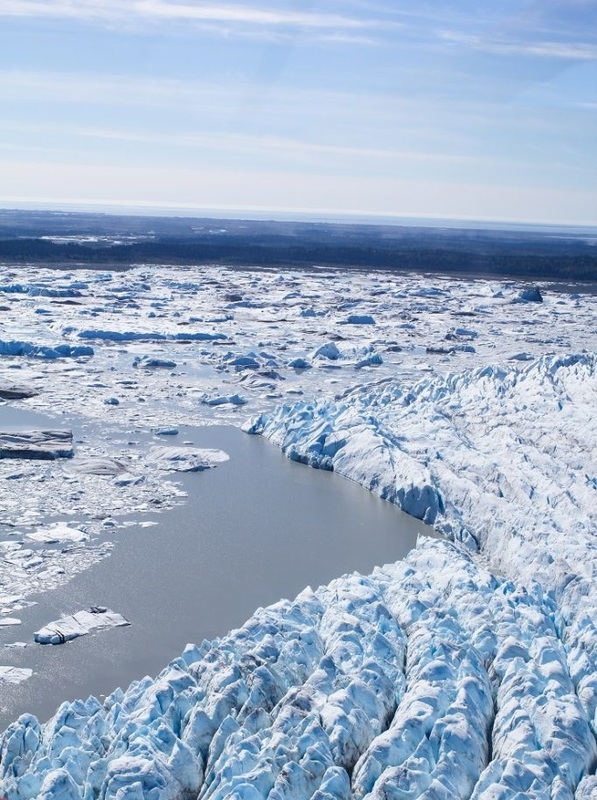 Alaska is one of the last salmon strongholds in the world. 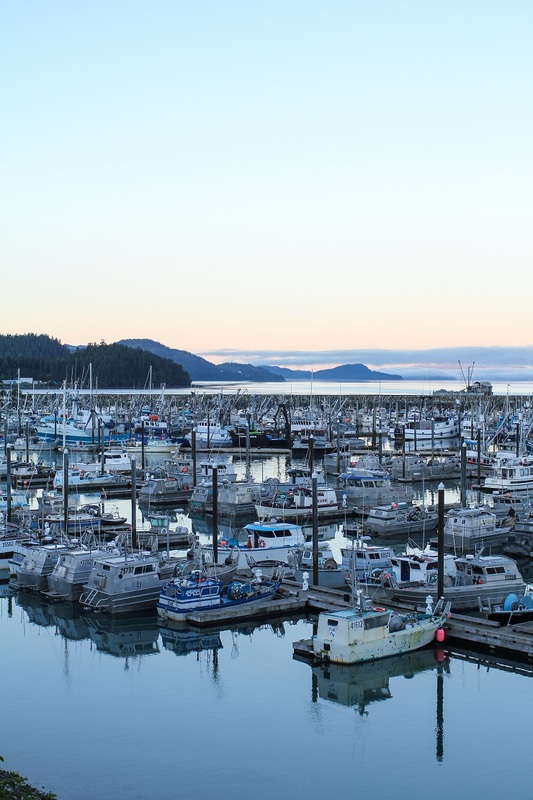 Cordova fishermen bleed each fish when they’re caught, which decreases the bacteria content, increases shelf life, and also enhances flavor, making it a higher quality product than volume fisheries. 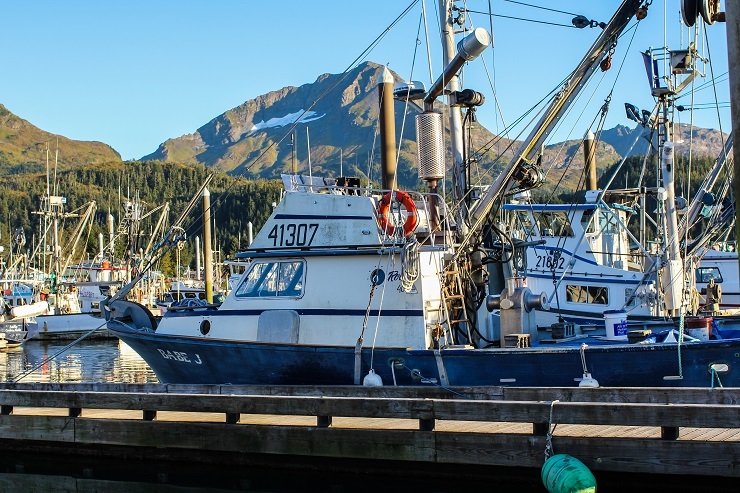 Alaska serves as an example to other states and countries that have a salmon fishing industry, as its watershed is intact. 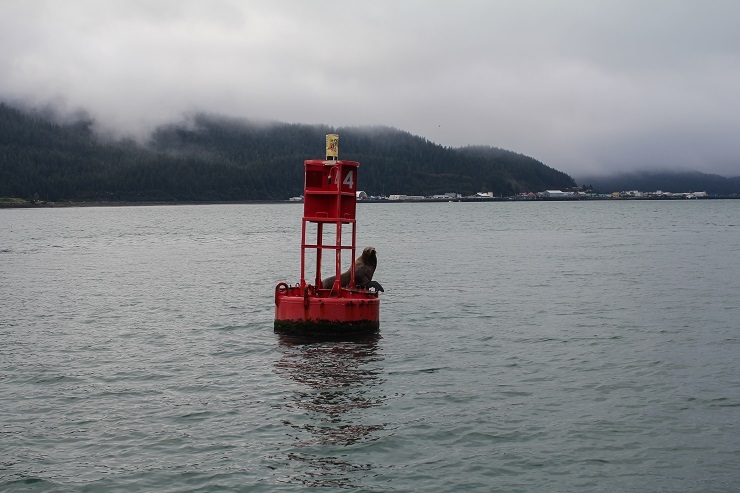 Other fisheries model their restoration projects after Alaska’s continued support of the ecosystem. 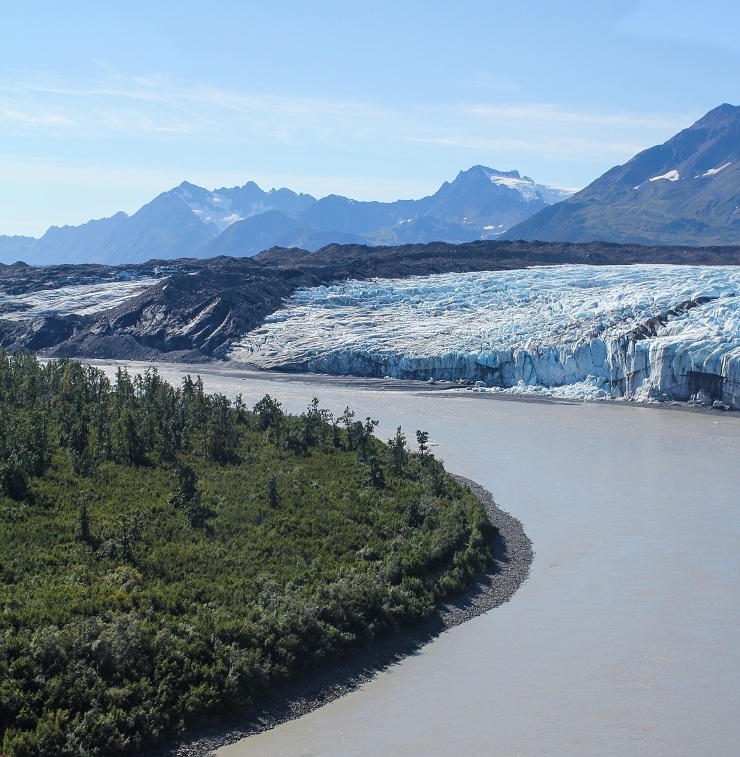 The Copper River is the fifth largest drainage river in Alaska and spans over 24,000 square miles. Big picture: you’re the driving force of the food industry. It’s easy to think of yourself as a small fish in a ginormous ocean, and to assume your decisions don’t matter, but from me – a self-proclaimed optimist – to you – a well-educated consumer with purchasing power – your decisions do make a difference. Your food philosophy, your intentions turned into actions, your purchases, the way you fuel your health and lifestyle…each decision creates a ripple, creating waves, enabling our food industry to trend in the direction you want it to go – ideally in the environmentally friendly, nutrient-dense, sustainable direction. My biggest takeaway from the trip (and hopefully what you get from this post) is to know your fisherman. Look at the labels on your salmon, talk to your grocery store’s butcher, and ask questions. Simply asking “where is this salmon from?” will yield answers that could (and should) sway your decision. My intention here is to give you a better understanding about sustainable fishing in Alaska (not to throw stones at other fisheries or farmed salmon) so that you have the information you need in order to make well-examined decisions regarding your salmon intake. 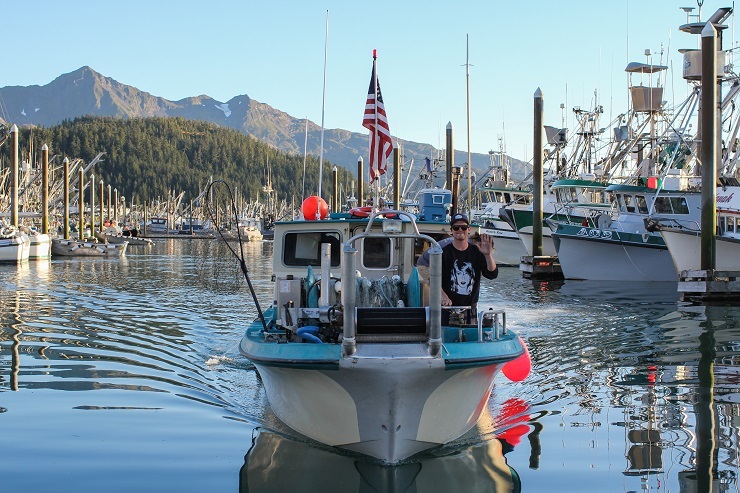 When you zoom in to this story, you see the life of each individual fishermen in Cordova, Alaska – what their day looks like from start to finish, what their profession represents, the work they put into their trade, their own story. 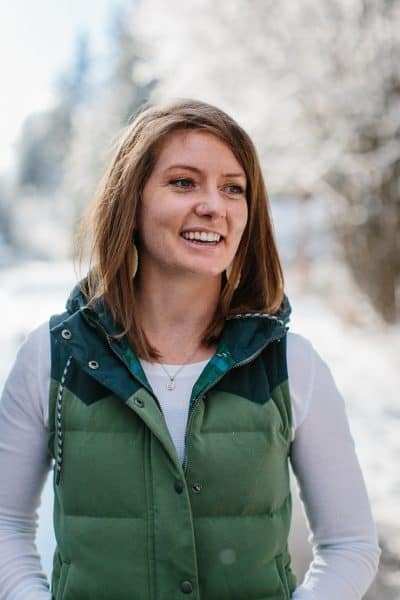 When you zoom out a little, you see a community made up of these individuals – foragers, fishermen, scientists – priding itself on truly sustainable living, not just in the fishing industry, but in many facets of life. Zoom out even more, and you see the seafood industry and all its players from small family fishermen to corporate farms and everything in between. Look internally and know your impact as a consumer. Know your fisherman! Read Part Two of my trip recap here! 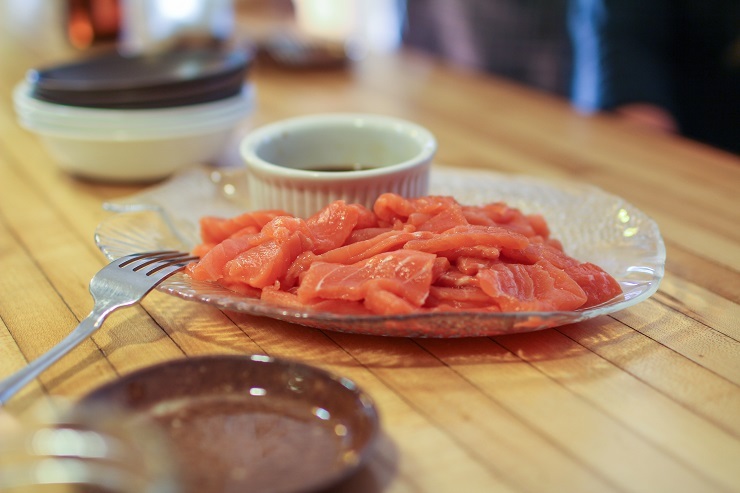 Where can I get Copper River Salmon? An inspiring story of a real community going what we all hope other fishing, farming, ranching communities would be doing as well. You are so right in saying that it all depends on what we take to the check out of our favorite store. Thank you for the amazing photos and sharing your experience. Looking forward to Part 2. Excellent post! I have family in Alaska and I’ll be there next week enjoying delicious and sustainable salmon! 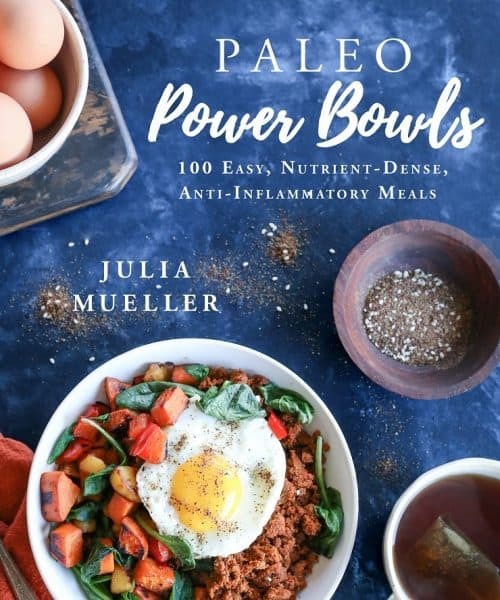 Love your blog and recipes. This was a great article. Very interesting and fascinating. I love salmon and refuse to buy anything but salmon from Alaskan waters. I hope you will include some great salmon recipes from Executive Chef Baril in Part II. Great and informative post! My husband just got back from a trip to Cordova and brought back 50lbs of salmon…friends and family love it! What a great story and amazing trip, I’m looking forward to part 2 as well to see everything you got to eat! We were lucky enough to get some Alaskan seafood from friends and it has spoiled me for anything bought at the stores locally here in Montana, so I’ll have to check out this company, (also hoping to find a source for Alaskan shrimp if you know of any)! Aaaah yes, lucky you indeed! Alaskan seafood is the absolute BEST! So happy you enjoyed the recap – it was fun to put together! You did such an awesome job with this post, lady! 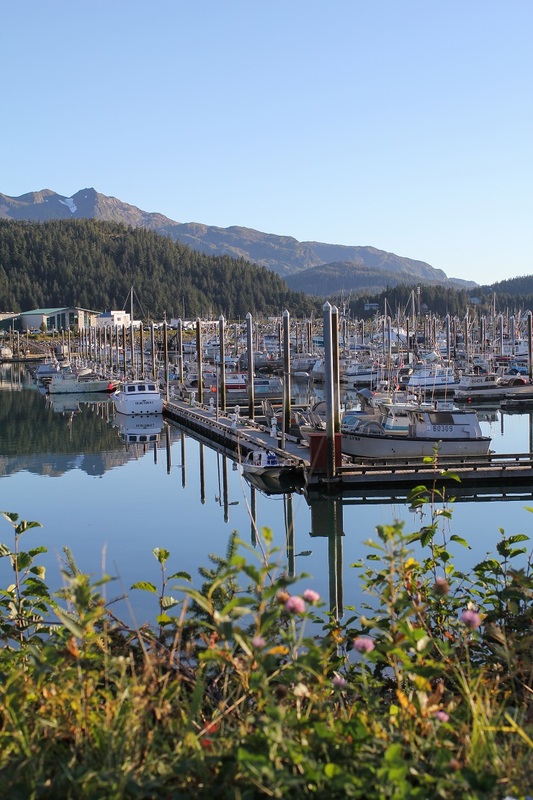 I loved learning more about Copper River Salmon and the awesome people of Cordova. Knowing that they’re fishing in a sustainable way gives me all the feels. And that shot of the salmon in the Copper River? Sooo beautiful!! Can’t wait for part 2!